FutureLearn provides a standard report containing some details about learners and how they engage with the MOOC. The report is limited in a number of ways: it is static, ineffective in presenting relevant information from a pedagogical view and contained some errors, but most importantly does not provide ‘just-in-time’ access to data nor interactivity. In order to solve these issues we began developing an interactive dashboard based on the previous experience of processing and representing data in Coursera. However there are unique challenges in the process due to substantial differences in the data and the platform. This session will provide an insight in the development process, where we are at this point in time and outline future directions. 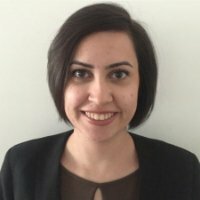 Mahsa Chitsaz has been an Educational Data Scientist in UNSW's PVC (Education) Portfolio since March 2016, with a primary focus on learning analytics, student engagement, and technology enhanced learning. She completed her PhD in 2015 at Griffith University, Brisbane in Semantic Web. A core focus of her research has been developing a sound and complete algorithm to find all minimal explanations of a query over an incomplete data set (abductive reasoning). Before she joined UNSW, she had worked in an insurance company that involved using both mathematical and computational approaches in the Actuarial department. Mahsa is currently building an open source, human-centric learning analytics platform for teachers at PVC (E).